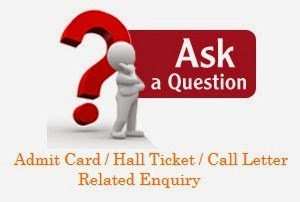 ☑ Admit Card/Hall ticket Link : www.meta-secure.com/hescom/Forms/ApplicantLogin.aspx. HESCOM admit card 2015 can be downloaded by the candidate from 30th December 2014 from the official website. HESCOM Admit Card 2015 is a must produce the at the entry of the examination hall for verification purpose, the HESCOM AE JE Admit card 2015 contain the name of the applicant, date of the exam, Exam center and time of the exam so, candidates have to mandatorily show the HESCOM admit card 2015 or they will be not allowed to take the exam. Earlier the applications were accepted until 25th October 2014. Below are the details on how to download the HESCOM hall ticket 2015.